It’s natural to want to focus your marketing efforts on getting new customers to click that buy button. But if you neglect the after-purchase experience, you’re leaving a massive opportunity on the table for additional sales. Repeat customers spend roughly 67 percent more than first-time buyers, according to a a study by Bain & Company. And they cost five times less to acquire than new customers. So if you’re not nurturing one-time buyers into loyal customers, it’s time to rethink your strategy. One of the most effective ways to encourage repeat buying behavior is to find compelling ways to engage with shoppers after their purchase. Here are a few ways to do that. Soup up your shipping tracking experience. Your confirmation email can do much more than just confirm orders. In an effort to reduce “where is my item?” type inquiries, makeup retailer Urban Decay sent customers to a company-branded site (instead of a delivery or postal service website) where they could track their orders. Urban Decay also beefed up the page with additional marketing messages. The move helped with the initial goal of reducing call center volume but also had another surprising benefit: sales skyrocketed. Those who clicked through to the company-branded tracking page made additional purchases at a rate of 31 percent higher than the average customer, and spent 37 percent more time on Urban Decay’s website. Customers now expect a personalized shopping experience. There are a variety of ways to meet that bar, but an easy one is to email customers relevant content after they’ve made a purchase. Mega-popular subscription box company Birchbox does this particularly well. It sends existing customers to a “what’s in next month’s box?” video to dangle the customization options they can look forward to if they sign up again. Blast campaigns have a time and place (like massive sales or events). But triggered email is something you can do year-round to reengage with customers on a personal level. “Happy birthday” messages are probably the lowest-hanging fruit here. They’re also one of the most effective. 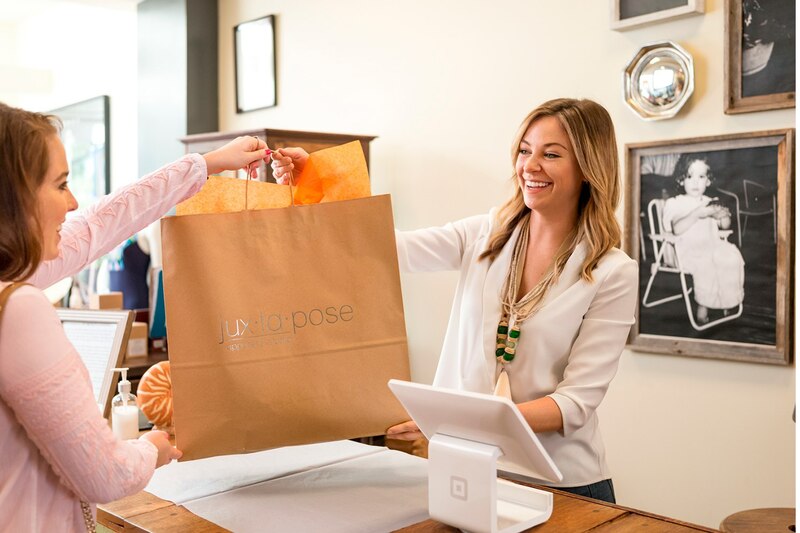 Automated birthday offers sent through Square Email Marketing have open and redemption rates more than 2.5 times higher than average blast campaigns. If you’re a business that can play to the seasons, it’s a no-brainer to work that to your advantage. Paperless Post, for example, sends subscribers reminders for card-worthy holidays (like Mother’s Day). But even if you don’t necessarily have a seasonal tie-in, you can find other creative ways to connect with customers when you know they’re in a certain headspace. Anthropologie’s wedding brand BHLDN does something similar with the wedding planning process, triggering email for things like bridesmaid gifts and lingerie at strategic intervals after a customer’s initial purchase. When emailing customers, it’s important to abide by CAN-SPAM regulations. Marketing email needs to include an opt-out, subject line, and a bona fide sender address. Transactional email is generally exempt from these requirements. You can learn more here.